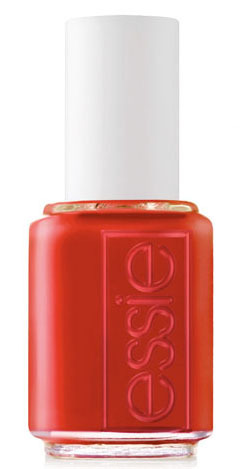 In my local TK Maxx I was lucky enough to get my hand on some Essie Nail Varnishes ... YES you heard right ! And the best thing is that I got three varnishes for £9.99. 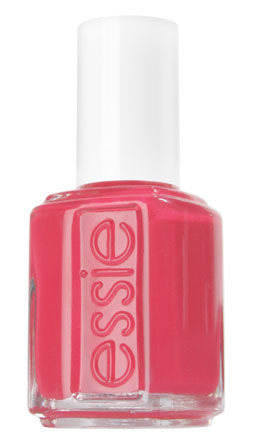 Considering one Essie Nail Varnish retails around the £7.99 mark I think I got a great deal ! Here's the dilemma - I don't know the names of the shades I picked up and this is my main problem with shopping in TK Maxx! 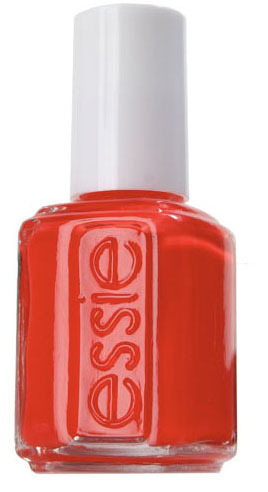 All the bottle's of varnishes were labelled up as either 'Tangerine' or 'Capri' - which are Essie Shades, but clearly there had been some kind of mistake. You can pick up a real good bargain from TK Maxx but the problem lays with the condition products are left in ! 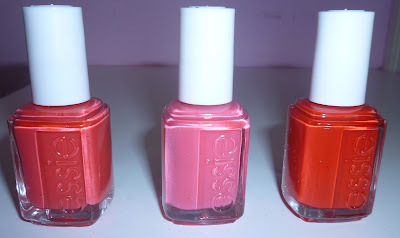 Wishful thinking - I was secretly hoping that the shade's I picked up were the shades I was wanting (Cute As A Button, Ole'Caliante, and Watermelon)...like I said wishful thinking ! When I got them home I just ripped the labelling of all the bottles in hope that I would be able to establish the shades easily by going online or seeing them in person ... let me tell you it wasn't easy ! There are so many shades, swatches vary from site to site and the lighting in my local Boots is not the best that I'm not confident in saying what the shades are for sure. I've whittled it down to a few shade that are similar but then again I could be completely wrong ... they may of been in a limited edition collection... who knows...? I saw this in Tk Maxx and got so excited too! Thats usually why they are given to outlet stores, factory default and little mistakes. I was gonna buy it but only liked one colour, i guess i could keep the others for a YouTube giveaway.